The capital city of Canada is known for being a multicultural metropolis, with a huge choice of international restaurants just waiting for hungry foodies to walk through their door. 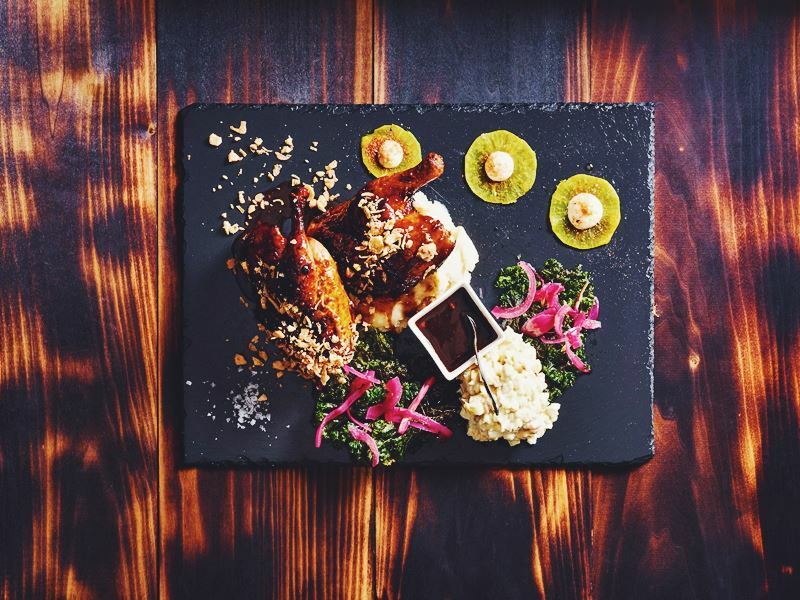 Whether you’re in the mood for something traditional and local or innovative and exotic, Ottawa’s amazing variety of eateries means there’s always something tempting on the menu. But with hundreds of restaurants all vying for your taste buds, it can be tricky and time-consuming picking the perfect restaurant. 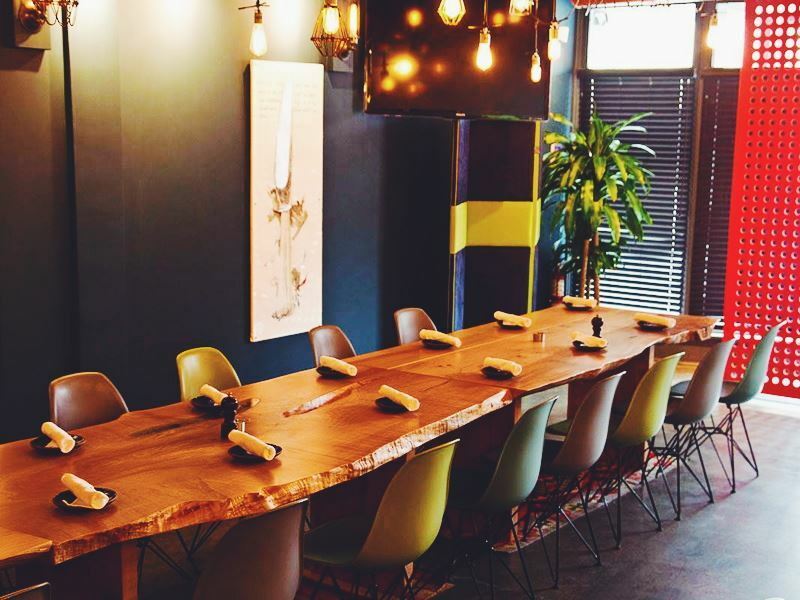 To save you settling for a mediocre meal in sub-par surroundings, we’ve put together a list of the top 10 restaurants in Ottawa, each one certain to provide you with a first-rate dining experience. 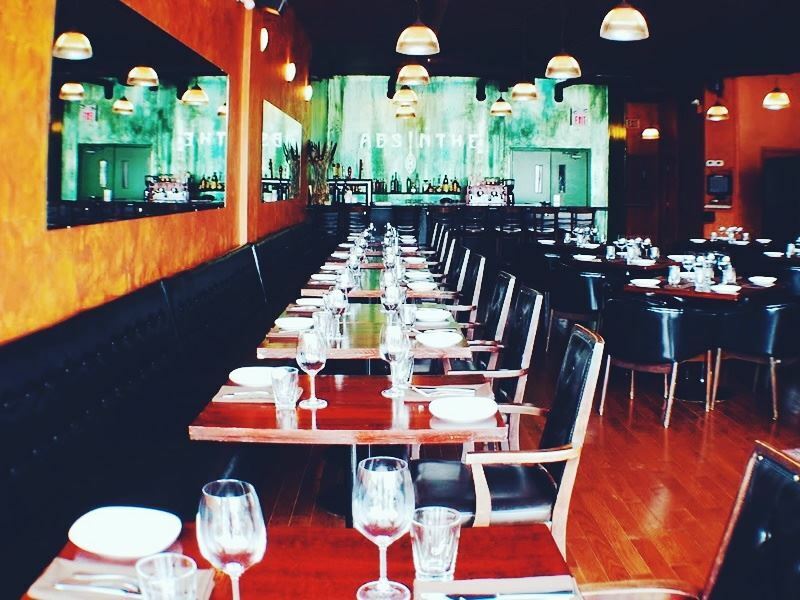 The scene: Opened by Steve Beckta in 2003, Beckta Dining & Wine was one of the very first restaurants to set the bar for fine dining in Ottawa and has never let its standards slip since. Offering a medley of innovative haute cuisine dishes, this restaurant is known for its vast choice, from Asian-inspired seafood to Caribbean salads and Canadian-style grilled meat. The décor has a rather dated 70s-feel, with orange booths and armchairs, a blue patterned carpet and curtains which somehow match both. But don’t let that discourage you from sampling the à la carte lunch menu, the three-course prix-fix dinner menu or five-course tasting dinner menu with optional wine pairings. All menus and even the wine pairings are remarkable value for money for a restaurant of such high calibre, but if you really want to keep costs down, you can bring your own wine and pay a corkage fee per bottle. Signature dish: Ontario AAA striploin, served with roasted celeriac purée, string beans, baby leeks and spent grain duxelles, all dressed with a Dijon vinaigrette and an heirloom tomato demi-glace. The scene: The word ‘Gezellig’ is Dutch for somewhere with a cosy and convivial atmosphere where time spent with friends and family is enjoyed. This is the perfect word to describe the restaurant run by Stephen Beckta (the owner of Beckta Dining & Wine) and Executive Chef Michael Moffatt. Set inside a converted bank from the 1950s, this restaurant is the epitome of contemporary elegance, with simple black and white walls, plain wooden tables and chairs, luxurious leather booths and clean colourful artwork. The modern menu is inspired from cuisines all around the world and presented in inspiring and comforting dishes. The executive chef is passionate about local and sustainable food and sources ingredients directly from the farmer or producer as much as possible. To complement the international cuisine, there’s a global choice of wines picked for their deliciousness, place of origin and value-for-money available by the glass, half-litre and bottle. Signature dish: Braised Ontario lamb shank, served with grilled onion gremolata, fenugreek cream curry, basmati rice, broccoli, cauliflower and pickled scapes. The perfect wine accompaniment is a glass of Faugères Champs-Pentus Frédéric Brouca from France. Where: 1208 Wellington Street West. The scene: Living up to its name when it comes to décor as well as food, the Absinthe Café is inspired by 19th century Parisian cafes where the ‘green fairy’ turned into the favourite drink of everyone involved in the bohemian culture of the time. The black leather booths, dark wooden tables and low, moody lighting tie in seamlessly with the focal point stained metal wall behind the bar which bears the restaurant’s name. Although most of the menu is contemporary comfort food (think smoked bacon burgers with special sauce and medium rare hanger steaks with chips) there are a few French specialities to tie in with the absinthe theme, including beef tartare with a béarnaise aioli and butterflied duck breast with a mushroom ragout. 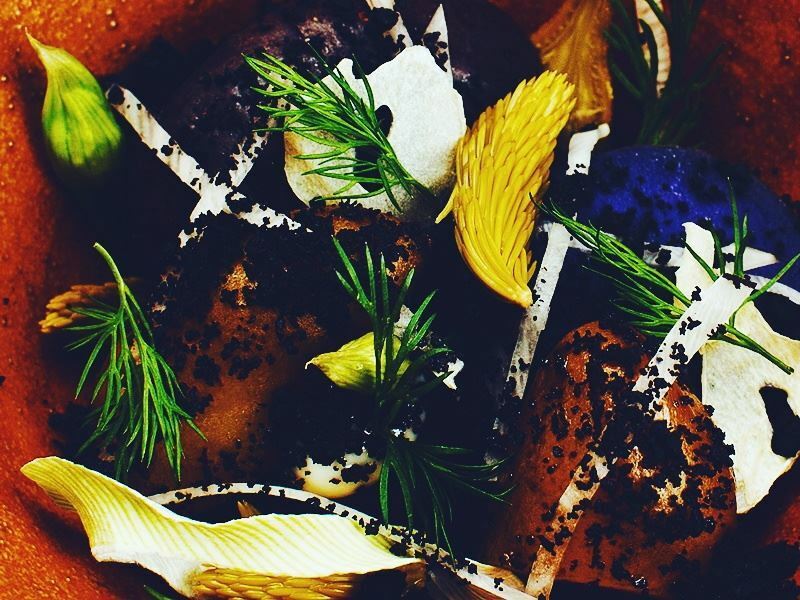 The restaurant’s fresh produce is sourced from eastern Ontario and western Quebec and prepared in an inventive and sophisticated way using classic French techniques guaranteed to please. Signature dish: The menu is changed regularly, so there isn’t really a signature dish. However, there is usually a selection of local cheeses served with apple chutney and cranberry walnut bread which is definitely worth leaving room for. 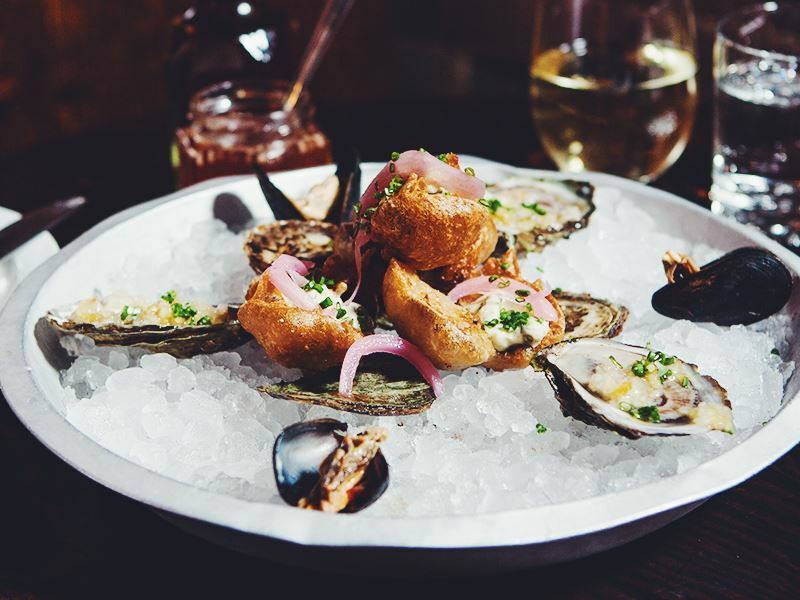 The scene: Well established as one of the best oyster restaurants in Ottawa, the Whalesbone Oyster House offers a huge selection of sea-fresh oysters caught using ethical and sustainable fishing methods certified by Ocean Wise. The rest of the menu is laden with delicious seafood dishes which are changed on a daily basis according to what the local fishermen have caught that very day, so don’t go with your heart set on one specific dish. 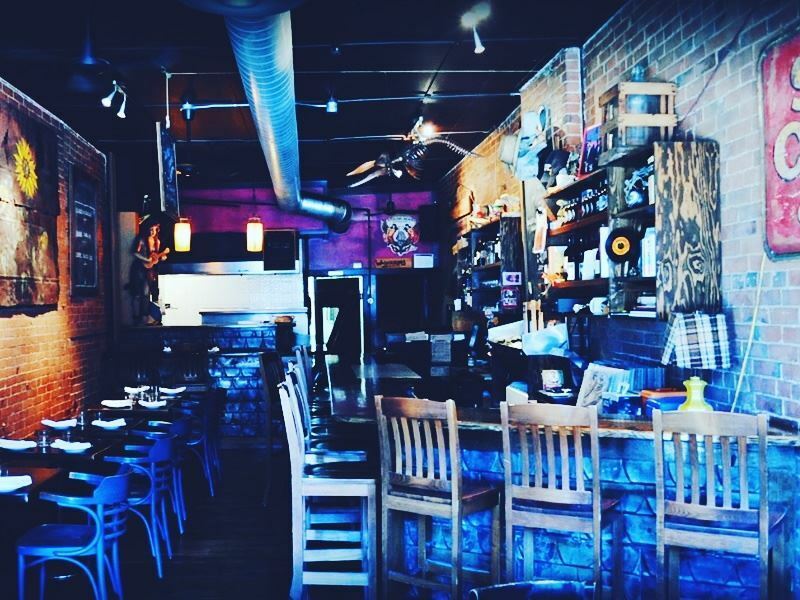 The eclectic décor features bare brick walls, dark wooden furniture, Jolly Roger flags, nautical posters and an open kitchen, giving the restaurant a gritty, primal pirate ship-feel. There’s also a 1980s-themed DJ set to add a bit of retro fun to your dining experience and enhance the lively, energetic vibe that’s always present here. Signature dish: The menu changes daily, so it’s hard to pick a signature dish. But whenever it’s available, the lobster served with soft saffron polenta, brussels sprouts, parsnips, chorizo crisps and a shallot salad is said to be sublime. Where: 3018 Saint Joseph Boulevard. 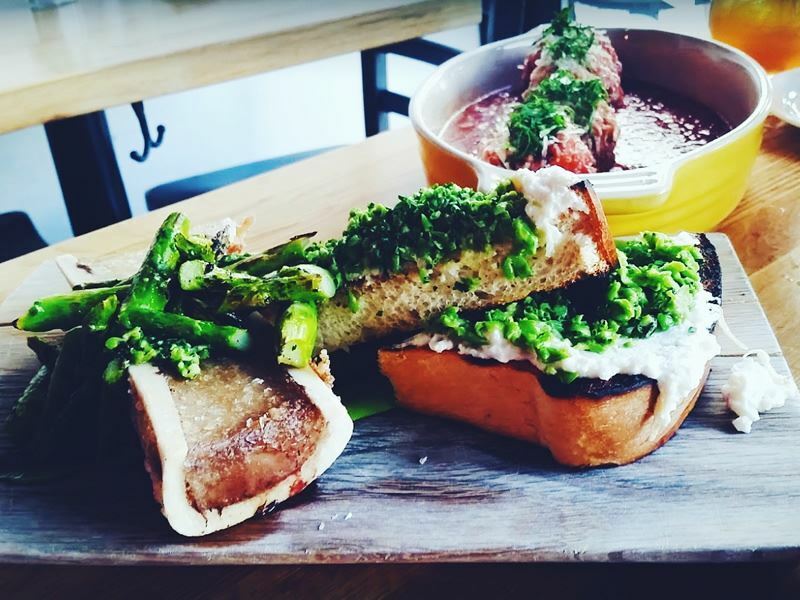 The scene: Placing a huge importance local premium ingredients, Occo Kitchen takes these quality, natural elements and uses them to make everything on their menu from scratch, even the ketchup and bread! Although it started out life as a deluxe burger joint, this restaurant has moved up in life and now takes a gourmet artisanal approach to everyday street food favourites. This results in a menu laden with amazing dishes such as grilled eggplant tacos, craft beer battered Atlantic cod and, not forgetting one of the most popular street food dishes in the world, candied bacon cheeseburgers. More refined and simple than the exciting, eclectic menu, the décor is made up of plain white walls, blonde wood-like panelling, complementary wooden artistic touches and lots of contemporary lighting, creating the perfect blank canvas for the busy, experimental presentation of the food. 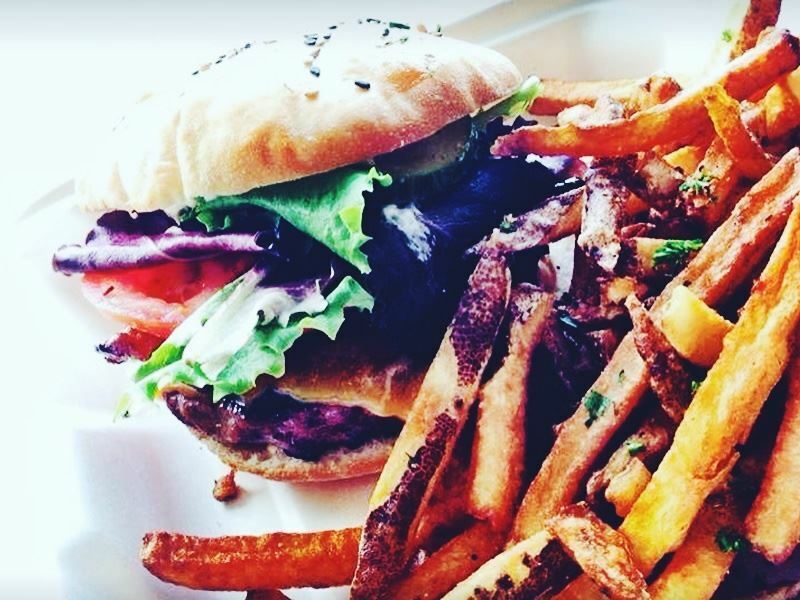 Signature dish: Locco Burger: a patty made from AAA chuck smothered with house-made ketchup, black pepper mayo, leaf lettuce, vine tomatoes and scratch pickles, all nestled inside a freshly-baked house-made burger bun. 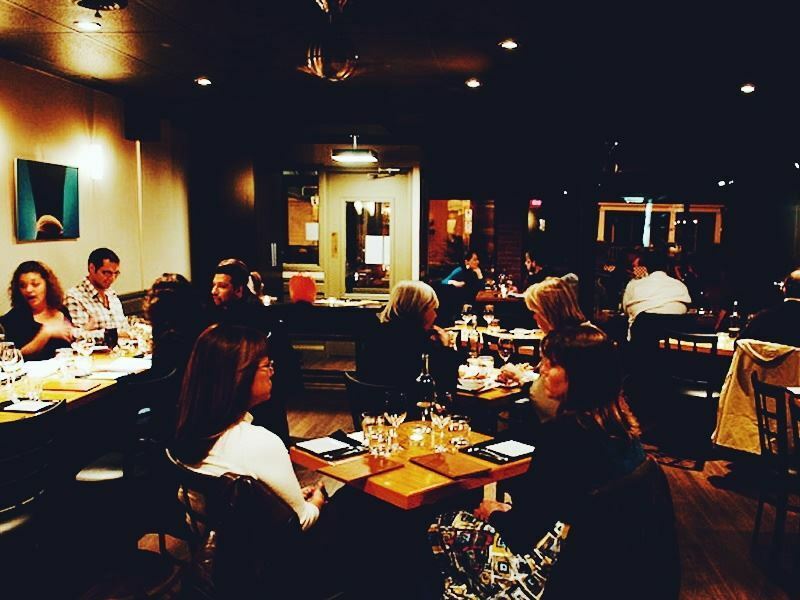 The scene: One of the best foodie hideouts in Ottawa, Town provides the ideal environment for anyone in need of a deliciously comforting meal to relax, celebrate or simply stop hunger pangs that won’t settle for anything less than the best. Always offering a friendly home-from-home atmosphere, this restaurant’s design features carefully-chosen warm glowing Edison lights, cosy leather seating, antique wooden tables and beautifully textured wooden floors, all in a space that’s the perfect size to create a welcoming feel. The menu is just as soothing, with classic Italian delicacies like pan-seared chicken thighs, ricotta-stuffed meatballs and buttermilk panna cotta. For the perfect accompaniment, there is a staggering selection of red, white, rose and sparkling wines from all over Italy available by the glass and bottle. 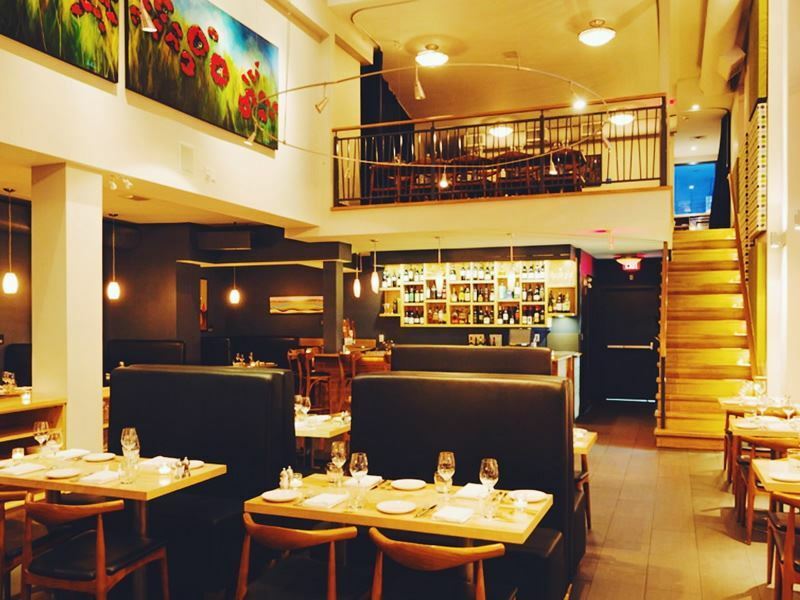 Although the menu is strongly Italian, Town is all about locally-sourced food produced on Ottawa’s bountiful farms and ranches. Signature dish: Local lamb Bolognese served on a bed of house-made saffron cavatelli pasta with chermoula, toasted pistachios, black pepper ricotta, parmesan and double smoked bacon. The scene: This modern bistro restaurant is known for its eclectic blend of sensational and innovative Canadian dishes prepared using classic and traditional French techniques. Head chef Arup Jana, who established his career at the infamous Calories, has an incredible passion for fresh, local ingredients which is more than evident in the creation of an entirely new menu each month. Every Monday evening, the restaurant drops its seasonal selection and replaces it with an exotic tapas menu. But instead of being typical Spanish-style tapas, the offerings are more like small plates of international classics, such as popcorn shrimp with a spicy mayo, bacon and asparagus tart with pea shoots, and duck breast with crispy polenta. With very low lighting, sophisticated grey-washed walls, dark wooden furniture and contemporary artwork sparsely covering the walls, Allium has the perfect atmosphere for any occasion, whether it’s date night, a special celebration or just dinner out with friends. Signature dish: The menu is changed on the first Thursday of each month, so there is no signature dish. However, the fish and seafood choices are always the stars of the show. The scene: Consistently rated as one of the very best restaurants in Ottawa by the city’s food critics, NeXT serves up a harmonious balance of dishes with strong Canadian roots influenced by Asia and Europe. This highly recommended restaurant boasts a chic, clean-cut décor with cream walls, dark tiled flooring, perfectly spaced out tables and lots of trendy black furniture. The open kitchen is decorated with a stylish grey tile panel adorned soft purple strip lights, giving the restaurant an instantly cool city vibe. NeXT’s diverse menu is inspired by the best food memories of Chef Michael Blackie and has been designed with the idea of sharing in mind. ‘Nibbly bits’ such as tempura fried cheese curds and house-cut fries with white truffle mayo are there to start you off, followed by main courses like freshly-shucked east coast oysters with grated fresh horseradish and wasabi pea-crusted rare tuna sashimi pizza with daikon pickle. Signature dish: The blind sharing menu: an eight-course menu of the chef’s choice capped off with a sweet board. You never know what you’re going to get until it arrives, but every bite is sure to be delicious and wholly satisfying. The scene: Effortlessly satisfying the city’s need for something more personal and less fussy that made the locals get excited about going out to eat, Fraser Café takes an all-winning approach to dining: use the best ingredients available to create fantastic food for a reasonable price. Blending the familiar with the adventurous, the largely Canadian seasonal menu features classic favourites such as BBQ beef striploin with chips and mushrooms alongside lesser common treats like Arctic char with a kimchi and wild rice broth to satisfy all kinds of foodies. Although the menus somewhat simple and rather short, they’re updated frequently according to the local produce in season at the time, so there’s always something new and tempting to try. The seating arrangement (long bierkeller-style tables for up to 12 guests seated on colourful plastic chairs) isn’t popular with everyone, but adds to the casual, relaxed atmosphere and makes Fraser Café a hit with large groups. Signature dish: Kitchen choice main. Save yourself the trouble of picking something from the menu and let the chef choose for you. What happens if you don’t like your dish when it arrives? According to the staff at Fraser Café, that’s never happened yet. The scene: Atelier exclusively serves a 12-course tasting menu which is changed on an almost nightly basis to ensure the freshest and best quality ingredients possible. 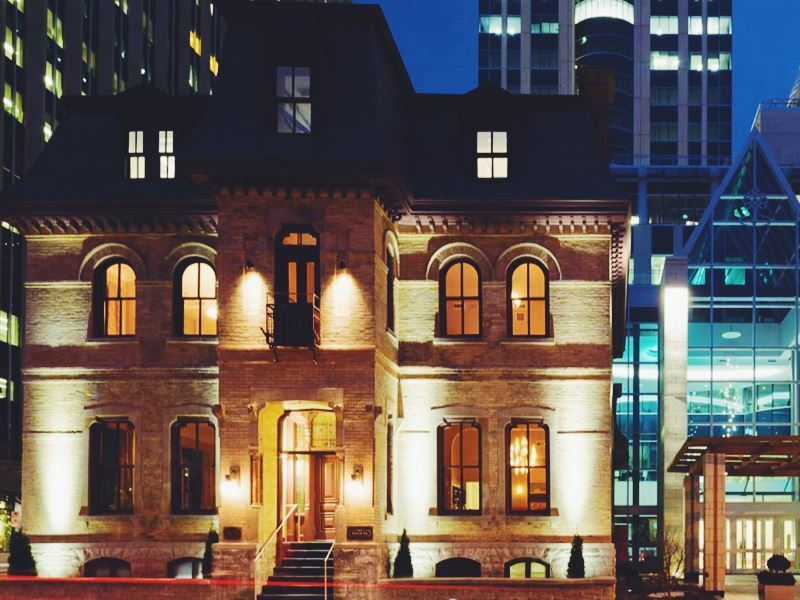 Although the items on the menu change, the theme of New Canadian cuisine strongly remains, so expect plenty of locally-sourced ingredients prepared in an inventive and modern way. Just like a magician keeps the big trick to the end, Atelier puts a huge effort into building suspense and keeps you guessing until each dish arrives. The menu lists courses such as ‘Bubbles’, ‘Welcome to the Jungle’ and ‘The Alien’ which sound interesting and exciting, but give you very little indication as to what they actually are. You have to wait until your plate is in front of you before you have any idea of what you’re going to get, which is all part of Atelier’s allure and charm. Each course looks like a work of art on a plate and the individual flavours are put together so thoughtfully you’ll be telling everyone about the food you ate for weeks. Signature dish: The always-changing 12-course tasting menu. The dynamic nature of the menu means that there is no single signature must-try dish, but the tantalising feeling of never knowing what’s around the culinary corner is what foodies flock there for.